During the Television Critics Associaton press tour on Monday, Sherlock‘s executive producer Steven Moffat assured the fans that the show would go on until Benedict Cumberbatch “gets too famous,” says The Hollywood Reporter. The show is currently in its third season and BBC hasn’t announced a renewal yet, but Moffat practically told the fans that the fourth season was a done deal. “It will continue until Benedict gets too famous,” joked the EP. As for Cumberbatch, his words were even clearer. “I’ve commissioned it,” he said when answering the reporter’s questions, revealing that his right-hand man in the show, Martin Freeman, is also in. Benedict Cumberbatch and Steven Moffat also answered other questions related to the series, such as if there was going to be a spin-off (don’t expect it to happen any time soon) and if Sherlock’s fake death was calculated (yes, it was), among many others. 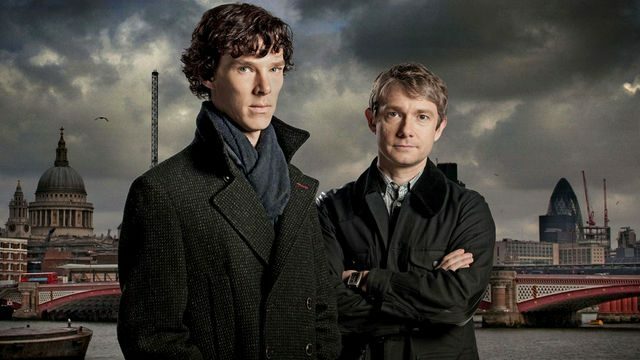 Sherlock‘s third season premiered with really strong ratings and a total of 4 million viewers, which represented a raise of more than 25% from the second season premiere. The show airs on Sundays at PBS Masterpiece.